Stormy weather is on the horizon for Ken Ham, president of the non-profit young-earth creationist organization Answers in Genesis. It turns out that his particular deity is not powerful enough to keep his religiously-motivated ark-building project afloat. However, as we will see, Ham is wearing a lifejacket made of greenbacks that will preserve him financially at the expense of all those pious investors who believed in his crusade to stunt young minds. Ham’s creationist organization currently owes about $29 million in taxable debt to the state of Kentucky. In order to pay this debt, Answers in Genesis needs to find investors who will purchase $29 million worth of unrated municipal bonds no later than February 6, 2014. Even though $26.5 million of securities have been sold, the project needs to sell at least $55 million in total to avoid triggering a redemption of all the bonds, Ken Ham, the nonprofit’s president, said in an e-mail to supporters yesterday. Without the proceeds, construction funding will fall short, he said. So, Answers in Genesis has only sold $26.5 million worth of securities in the whole time they have been fundraising for the Biblically-based theme park, which has been going on for the past several years. This means that in the next two weeks, they must raise more than twice the money they spent years collecting. We believe that God has called AiG to construct an Ark according to the dimensions in the Bible, to remind people of the truth of God’s Word and call them to salvation. Therefore, if Ham’s ark theme park encounters the rocks of financial ruin in February, consistency of form would oblige AiG to consider the failure as a disconfirmation of their deity’s power. The Ark Encounter is just another entry in a list of several failed Christian-themed amusement parks. For example, Kent Hovind owned and operated a creationist theme park called “Dinosaur Adventure Land” in Pensacola, Florida. This park was seized by the state government when Hovind evaded the taxes he owed them. But as I tried to argue at length in my essay “From Saturday Night to Sunday Morning,” American Christianity is nothing if not a money-making enterprise that has learned from past mistakes in imitative cultural marketing throughout history. And Ken Ham is nothing if not a scam artist with an endgame carefully calculated to make him come out the winner whether his lofty visions come to fruition or not. Ham and his anti-science organization are not going to walk away from this letdown empty-handed. There is no legal obligation on the part of Answers in Genesis to pay back the junk bonds they offered to potential investors last year, so they will not owe any money to these investors when the Ark Encounter dies. 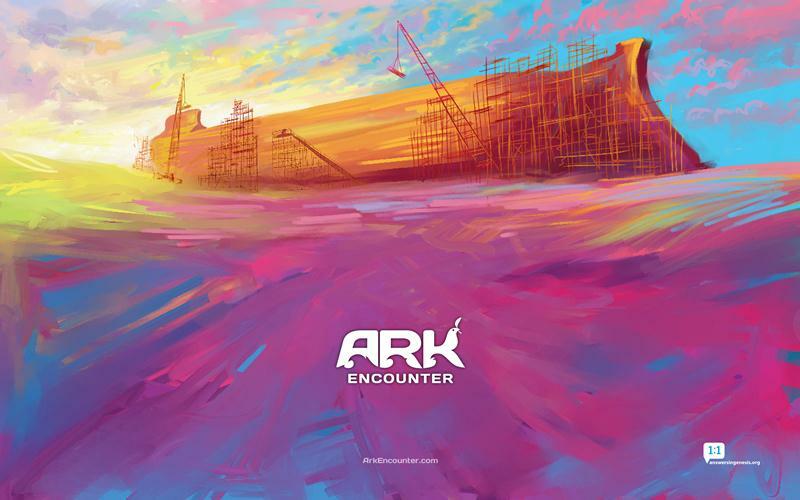 Built into the fine print on the junk bonds was an incentive for the Ark Encounter to fail. While it would be very gratifying to think that the reason Ken Ham’s project is certain to fail is because of a dwindling of public interest in Christianity, we unfortunately do not live in a country so enlightened. We live in a country wherein Christian fundamentalists with an agenda have succeeded in scamming the city of Williamstown out of a lot of tax money. They did this on the thinly-disguised grounds that the Ark Encounter was going to serve a secular purpose by becoming a job-creating tourist attraction. And the city of Williamstown was gullible enough to believe that cover story. At the very least, however, I am glad that Ken Ham’s narcissism and Noah-complex will not get the particular kind of affirmation he was seeking through the Ark Encounter. He driving interest still is to sensationalize a gospel of fire and brimstone through grand spectacle, because his cerebrally-confined “Museum” was not enough. This entry was posted in Creationism / Intelligent Design, Popular Culture, Pseudoscience, Religion and tagged Answers in Genesis, Ark Encounter, Ken Ham, Kent Hovind, Noah's Ark, Religious Theme Parks. Bookmark the permalink.